As for Mary Magdalene, for the first time I got more extensive information about her in the books by Anastasia Novykh. Later on rechecking that information in various sources, I came to conclusion the said books referred to the absolute truth. However, while analysing the sources (mostly not connected with the church) for some reason I didn’t think of reading the official primary source – the Bible. 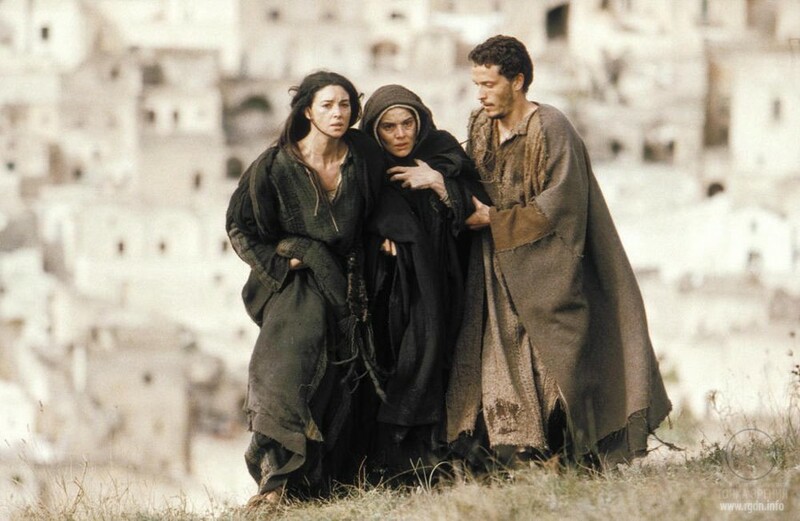 Although I know the Bible has undergone numerous amendments since it appeared, and though plenty of valuable information was not included in the final text at all, whereas many things were severely distorted, everything that relates to the subject of my interest (the story of Mary Magdalene) is indeed not so unambiguous. It turns out the Bible contains no mentions of Mary Magdalene as a sinner. Furthermore, there is a difference between “Mary the sinner” and Mary Magdalene. Perhaps, we should refer to the biblical records of Mary in order to understand at which point judgements of her became distorted and thus caused a widespread unfair opinion of such an outstanding Personality. There is not a single word about her as a sinner. The Gospel of John mentions Mary of Bethany, the sister of Martha and Lazarus. This very Mary washed Jesus’ feet and wiped them with her long hair. The Gospels of Matthew and Mark contain similar episodes, though the woman’s name is not mentioned, and the event took place in the house of Simon the Leper. The Gospel of Luke also has a similar scene, but the event took place in the house of Simon the Pharisee, and the nameless woman who washed Jesus’ feet was a loose woman. Different Christian denominations have different opinions on the matter. The Catholic Church links all the aforesaid episodes when Jesus’ feet were washed by a woman named Mary (who is called a loose woman in one of the Gospels) with Mary Magdalene. At that, the Orthodox Church has no associations of such kind: it admits Mary Magdalene was one of the myrrh-bearers and reveres her as Equal of the Apostles (and the feast of 4 August is exactly dedicated to this). Moreover, at this very point the division between the image of Virgin Mary as Jesus’ mother and Mary Magdalene as the eternal Light for people could have taken place as well. Such occurrence is quite possible, taking into account the tendency of religious ministers to thoughtlessly link personalities with their names (e.g. 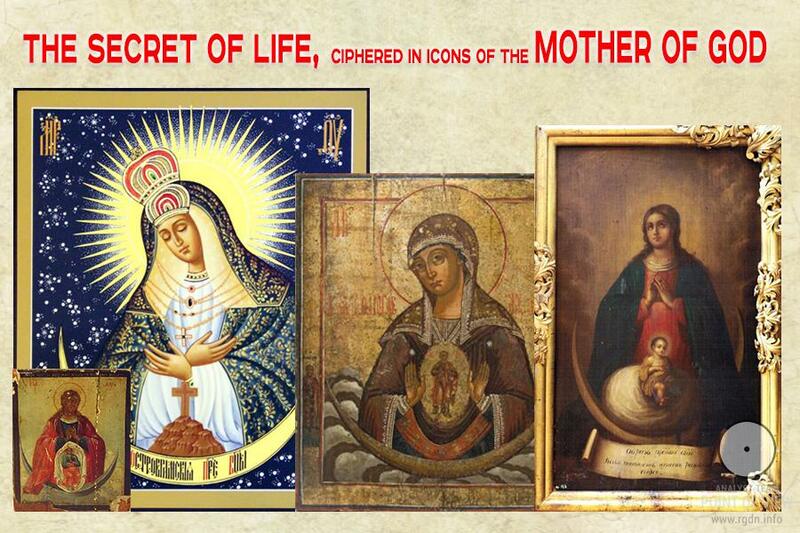 as it was when all Marys were united in a single generalised character) and to confuse the sinful with the pious. So, why do present-day people, even those reared on Orthodox traditions, think of Mary Magdalene as of a sinner? It turns out the widespread opinion of Mary Magdalene as of a loose woman is based on the authority of a book published in the middle of the 13th century and entitled Legenda Aurea. The book was written by the bishop of Genoa, Dominican monk Jacobus da Varagine, who presented his work to the world as a collection of folk legends rarely recorded in writing before him. 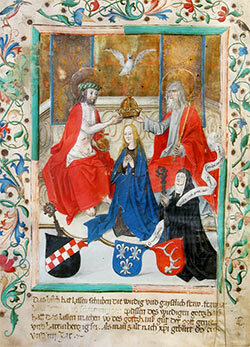 In the Middle Ages this book was the second most popular after the Bible. It is mentioned that when Jacobus da Varagine compiled stories for Legenda Aurea he selected not the most reliable, but the most entertaining sources. Thus, the author found 130 texts from where he drew inspiration, but most of the legends he recorded from verbal narratives. Moreover, after the author’s death the book was supplemented with about 200 life stories of the saints, interpretations of the meaning of church feasts and severely distorted narrations of the Sacred Story. There is a modest mention that this was done by “devout readers”. For many centuries Legenda Aurea became the main book for priesthood (following the Bible) and a major source of information about life stories of the saints. Art historians still use it as the main tool to determine the personality of saints according to the attributes described in the book, while artists use it to depict biblical scenes in their paintings. The book is respected by Vatican, too: by today the Catholic Church has canonised most of the saints mentioned in this “golden folio”. Perhaps, we should note several points referred to in Legenda Aurea, which have exerted a very strong influence on the people’s general opinion on relevant historical events. When somebody says, “as it is generally considered in religion…”, one should think three times whether this is so indeed. Which sources have become authoritative for religion? In my opinion, such facts clearly demonstrate the System in operation: to replace, to distort, to make an authority of somebody or something, to control, to suppress any attempts of dissent. However, all this can be easily avoided. Not blind faith, but Knowledge deprives a human being of doubts and makes one truly free. It is not shameful to aspire to know more, although this is exactly what is imposed on people called the believers. On the contrary, Knowledge strengthens faith! 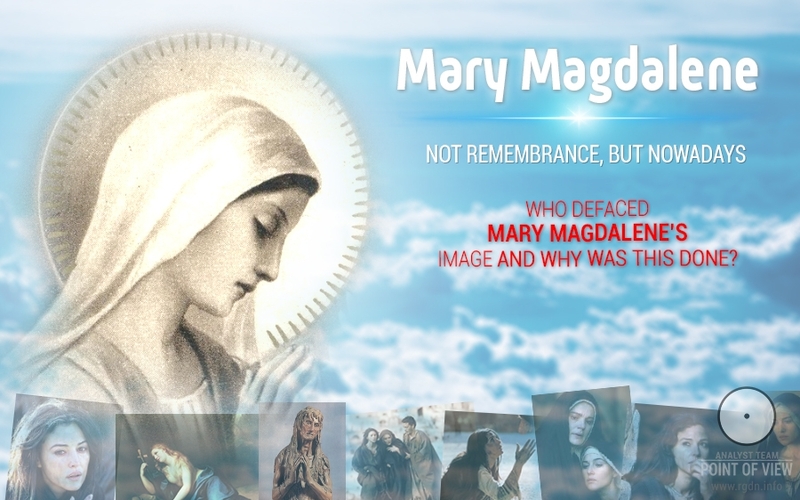 who defaced Mary Magdalene’s image, and why was this done? Let me suggest several hypotheses that came to my mind, and I will happily support yours. - Mary Magdalene became a Christian symbol of repentance. In the Middle Ages the sacrament of repentance was actively spreading, therefore the image of Mary Magdalene further often emerged in church sermons as an example of a person who had repented her sins. Hence, the idea of a “sinful human” was expanding and slavish psychology was imposed on people’s consciousness. After all, it is much easier to control a person who permanently feels one’s guilt and craves for redemption, and this was actively used by church ministers (all of us have heard about the practice of indulgences). Conclusion: the image of Mary Magdalene was used as an association with the sinful nature in order to support the idea of human sinfulness. 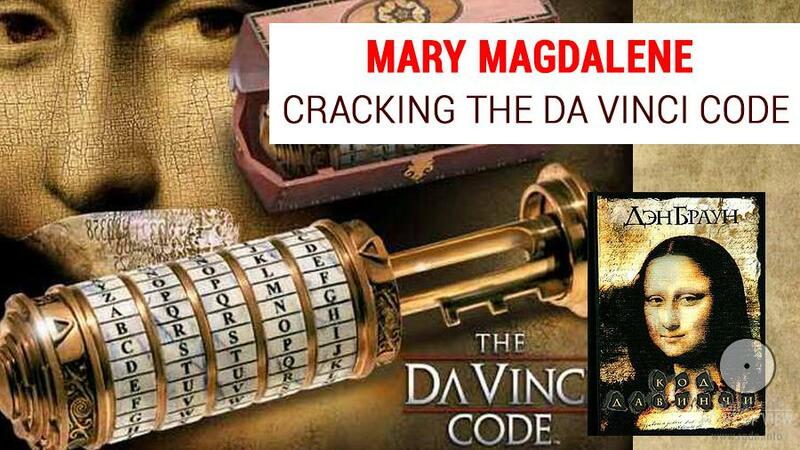 Conclusion: The above extract supports a surmise that Mary Magdalene could have been identified with Mary, Jesus’ mother, just as they had done before with similar “free” identifications, whereas the real story was unfavourable for those who established the Christian religion. - Records of the first Christians – Gnostics, which are now referred to as apocrypha, mention that Mary Magdalene and Jesus Christ had a close relationship. The knowledge of their special relationship gave up for lost all attempts of the church to present Jesus as God. There was no Ideal, no Absolute, and everyone could have understood that here, on Earth, Jesus was an ordinary human with normal earthly relationships. In such case the authority of religion as a science of God would not have been established. Conclusion: Mary Magdalene was defaced in order to conceal the fact that she was the wife of Jesus Christ, since that could shake the authority of religion or even eliminate the necessity of religion at all. 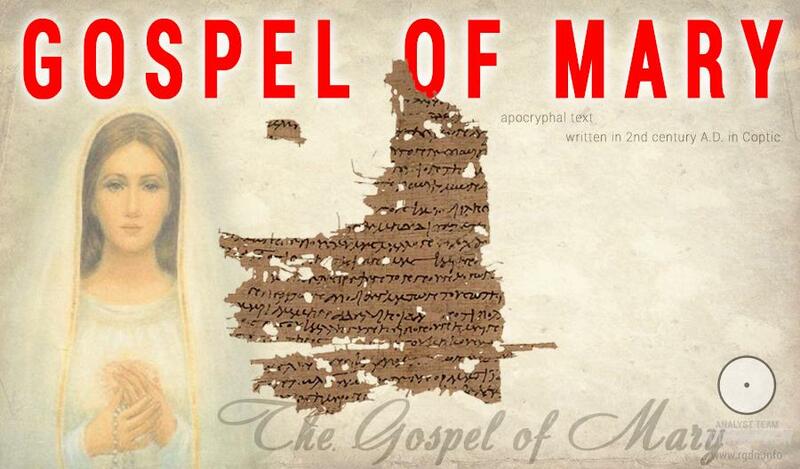 - According to the apocrypha, Mary Magdalene was the Beloved Disciple of Jesus Christ. Such a fact was also undermining for the plans of the founders of Christianity. After all, at that time ordinary people still knew and remembered the Truth spread by Jesus’ first disciples all over the world. At that, those who were interested in the establishment of religion needed “heralds” who would propagate ideas relevant for religion as an institution of power over people. The pure Truth preached by Jesus showed people a way to Freedom, to God without any mediators. Furthermore, the fact that a Woman could be at the head of the church was totally crazy for misogynists of that time, so they were exactly those who ensured that Mary Magdalene was first persecuted and later on presented as a “fallen woman”. Hence, they ensured that women’s presence at church services became intolerable for centuries. Conclusion: The image of Mary Magdalene was defiled because of a desire of the church founders to replace the pure Truth preached by Mary and other faithful disciples of Jesus with postulates advantageous for establishment of religion as an intermediary institution of power. 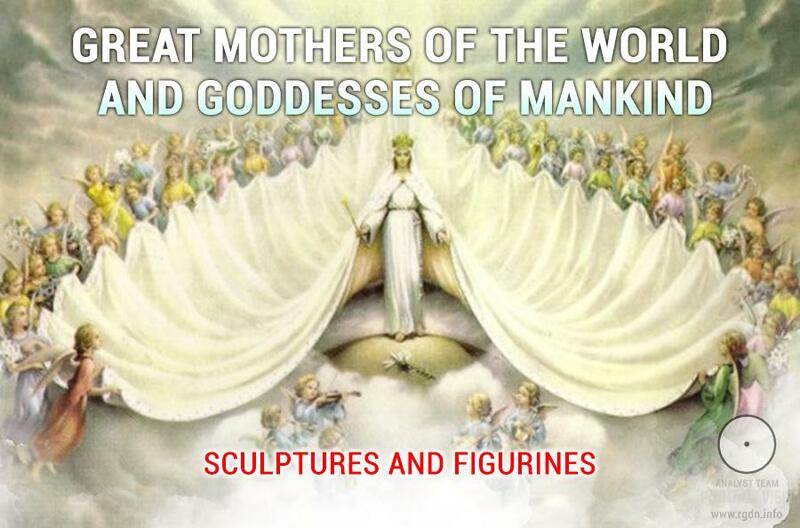 Moreover, female images and the feminine principle as such were disagreeable for those who propagated misogynistic ideas and believed that religion had to be built on the coarse masculine principle. Nevertheless, despite the artificial profanation of Mary Magdalene’s image, Her Essence will always remain pure and intact like snow-white petals of a Lotus flower. At that, Her Essence is nothing but Love. And this Love, this infinite generative Force still serves as evidence of God’s Grandeur.